Apps open more speedily than before, the keyboard pops up faster, and the Camera launches much quicker. 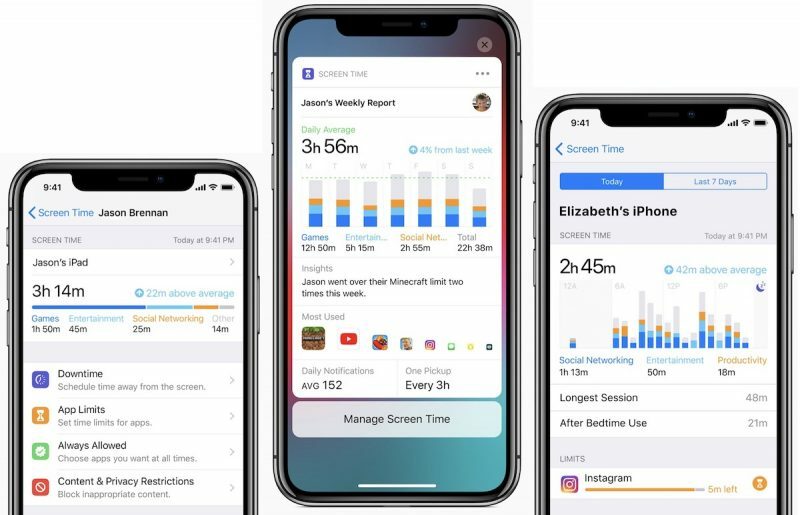 Apple has also introduced optimizations for when the system is under load, making iOS devices faster when you need performance most. 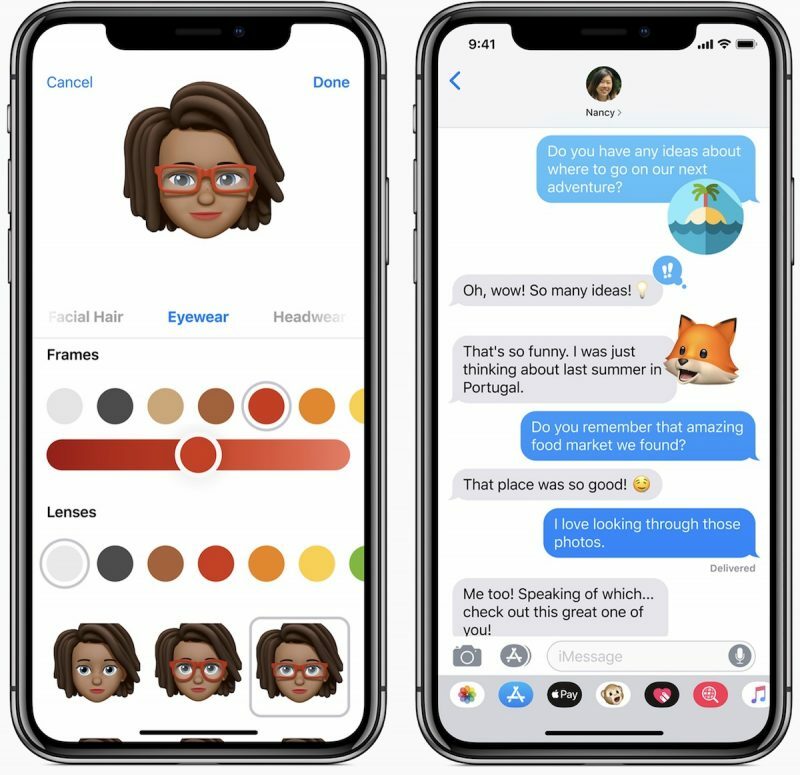 On the iPhone X (and upcoming XS and XS Max models), there are new Animoji characters (Ghost, Koala, Tiger, and T-Rex) along with "Memoji," which are customizable, personalized, humanoid Animoji that can be used both in Messages and in FaceTime, plus there are fun new camera effects in both of those apps. Apple originally planned to introduce Group FaceTime support in iOS 12, but the feature was removed during the beta testing period. It will be reintroduced later this fall in a future iOS 12 update. Siri is smarter than ever in iOS 12 with a new Shortcuts feature designed to let you create multi-step customized automations using first and third-party apps that can be activated with Siri voice commands. 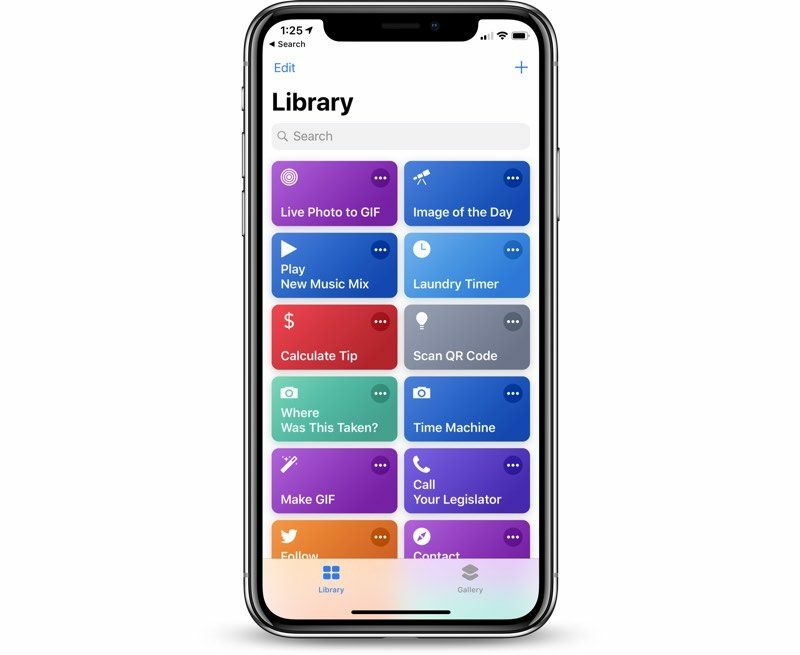 Shortcuts can be created through the Shortcuts app, which Apple is releasing alongside iOS 12. 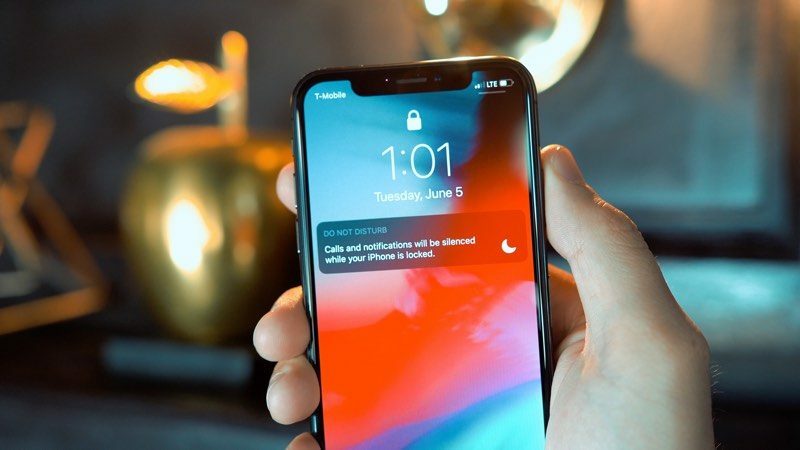 Updated Do Not Disturb options make activating Do Not Disturb more intuitive and simple, and a new Do Not Disturb at Bedtime feature cuts down on nighttime distractions and sleep interruptions by hiding notifications at night. Grouped Notifications make incoming notifications easier to view and manage, while a new Instant Tuning feature lets you tweak your notification settings right on the Lock screen on a notification-by-notification basis to cut down on the number of notifications you receive. 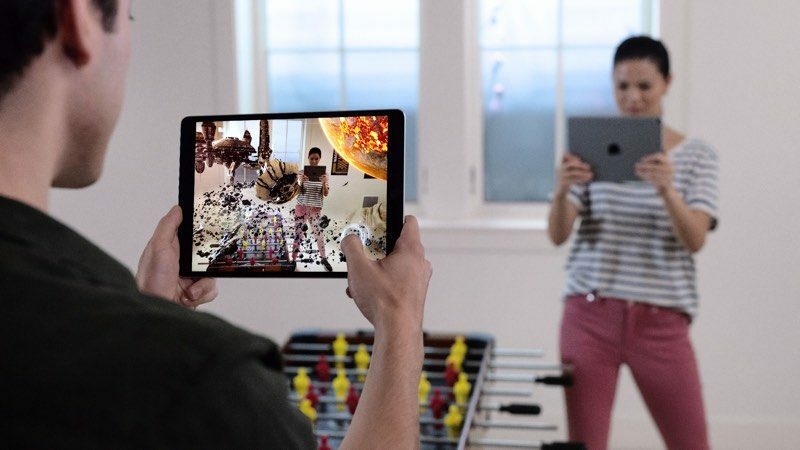 ARKit 2.0 introduces new capabilities like shared experiences that let two people see the same AR environment on separate devices, and persistence, which allows AR experiences to be saved across multiple sessions. There's also a new Apple-built Measure app for measuring objects using AR functionality. iOS 12 includes a revamped and rebuilt Maps app that uses a new Apple-designed Maps engine that displays foliage, pools, buildings, pedestrian pathways, and other map elements more accurately. The new Maps also includes significant improvements to traffic, real-time road conditions, construction, and more, plus it lets Apple push out changes and fixes more quickly. The updated Maps app is available in the Northern California area during beta testing and at launch. 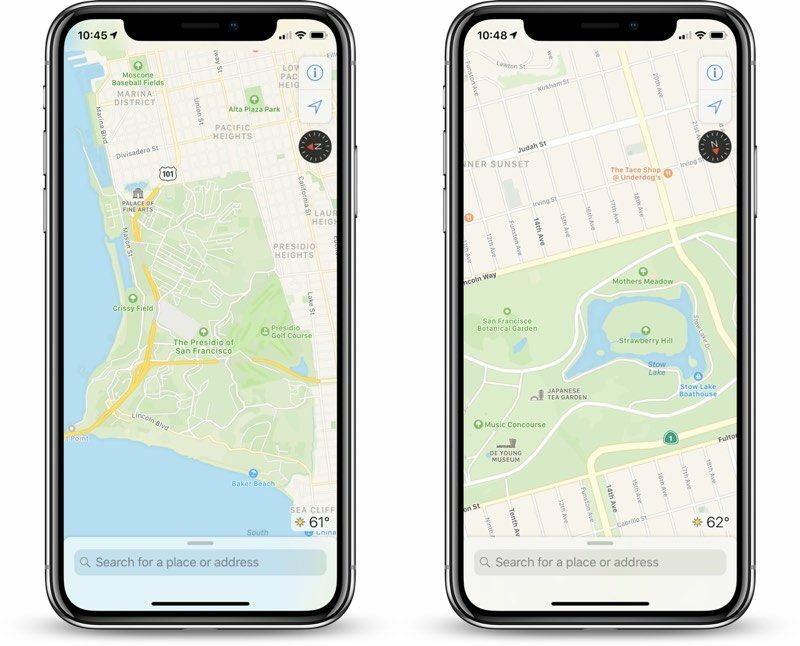 Following iOS 12's public release, Apple plans to continue rolling out the new Maps app to additional U.S. locations. For a complete rundown on all of the features that are included in iOS 12, make sure to check out our iOS 12 roundup. Apple's full iOS 12 release notes are also listed below. We've also got a long list of how tos to walk you through all of the new features introduced in iOS 12, which are available through the how to section of our roundup. Who read all 16 pages of the new Apple Media Services terms and conditions? I'm on page 3 atm and consulting with my attorneys on a conference call. I’ve waited 9 entire minutes and still no update. Never buying an iPhone ever again. Quite a few of them on social media are asking: what's a software update? In order to see the update you must smash your iPhone with a hammer first. It will then be available. Good luck to all updating today. Surely there will be some bricks somewhere. Same build as what released last week. None of the above, we’re just a bunch of volunteers helping to keep the forums running smoothly. So who is this brainiac at Apple that came up with this complete eyesore on the widget screen of iOS 12? I don't know about anyone else, but the light blue and red colored text overlaying that shade of gray hurts the eyes and is plain hard to see. Not to mention the ridiculous little "Set up Screen Time in Setting" splash that occurs right over the top of everything when you first swipe over to the widgets screen. Wow is all I can really say. How does stuff like this slip through final approval?